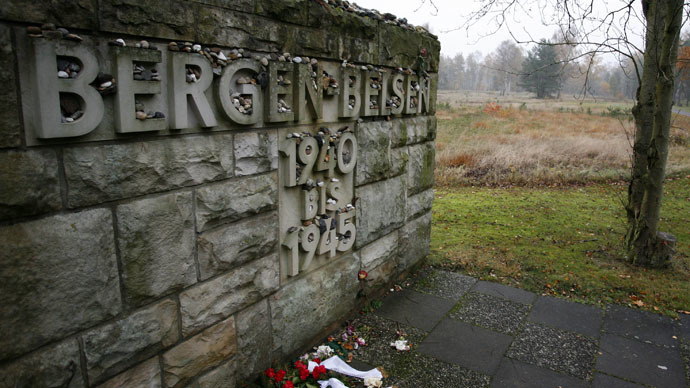 Dutch scientists say they have discovered a mass grave at the site of the Belsen concentration camp. The Nazis killed 70,000 people there between 1941 and 1945. The site of the mass grave, 16 meters by 4 meters, was indicated by former prisoners’ testimony, and is considered the place where Dutch Resistance activist Jan Verschure is buried, according to Dutch TV news program Nieuwsuur. The exact location of the grave was found by Verschure’s grandson after he interviewed survivors. "One of them gave me a map on which he marked where my grandfather was buried," Verschure told Nieuwsuur. The site is now a grassy field, and is situated at the end of the former concentration camp’s main road. Dutch archeologist Ivar Schute, who investigated the spot, said there was a mass grave there due to the “disturbed ground.”. However, the laws of the local Jewish community do not permit any digging at the site, “according to religious laws,” so further investigation is impossible, said Jens-Christian Wagner, director of the Belsen memorial. “In any case, the whole camp has been declared a cemetery," he said. Belsen was liberated on April 15, 1945, and UK troops set the camp on fire to avoid the spread of diseases such as typhus. Many of the 70,000 prisoners who died there over five years were bulldozed into unmarked mass graves around the camp, and up to 10,000 are considered to be buried in the camp area.